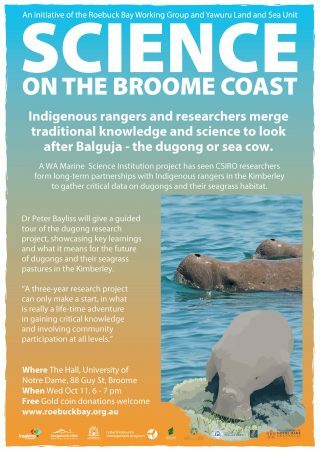 Researchers have partnered Indigenous rangers in the Kimberley to gather critical data on dugongs and their seagrass habitat for a WA Marine Science Institution project. 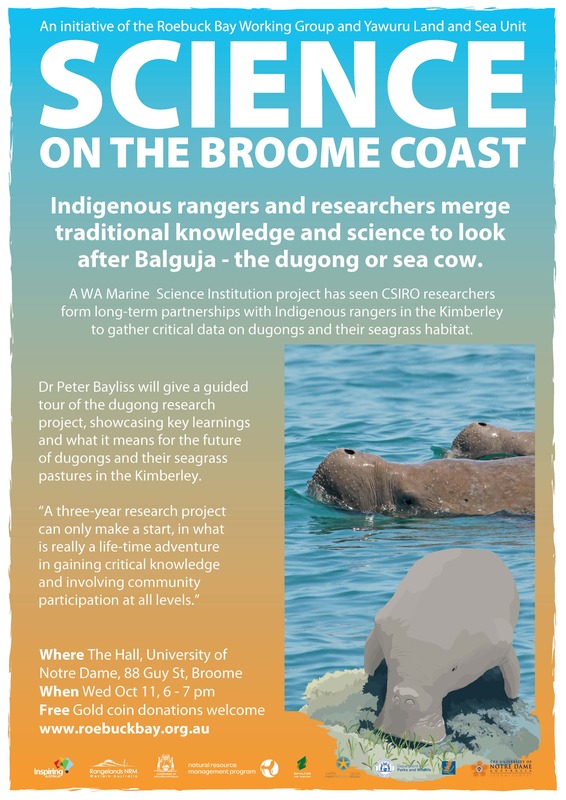 Dr Peter Bayliss explains key learnings and what they mean for dugongs and their seagrass pastures in the Kimberley. Seagrass is a sentinel of marine ecosystem health, because it responds quickly to changes in water quality. 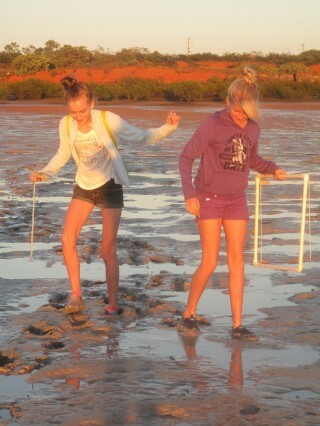 The Broome Seagrass Monitoring Project monitors Roebuck Bays’ seagrass four time s a year. The project is part of Seagrass Watch, a global scientific monitoring program that helps communities monitor some 259 seagrass meadows in 17 countries. Volunteer work is invaluable to develop a dataset of information and evidence to determine whether variations observed in the seagrass are due to human impacts or natural variations. 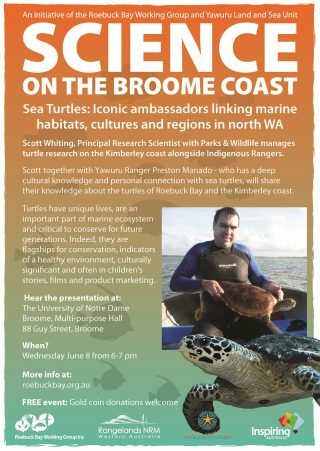 Coastal seagrass can store more heat-trapping carbon per sq km than forests, so are part of the solution to climate change. 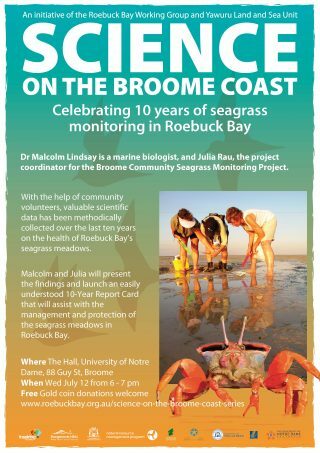 So come and look after the seagrass meadows in Roebuck Bay and fight climate change!